This week, we continue to investigate how God uses individual MI combinations to help us learn and interact with others.God has granted different talents, qualities, and strengths to each of His children. He creates us all differently for His purposes. Although we each have all the intelligences, they are distributed uniquely in every one of us. Discuss interviews – Did they turn out how you expected? What did you learn about the Intelligences you explored? Close your eyes, think about a teacher that made a big impact on you. First one that pops into your head? CAREFUL we have such impact. We choose people’s memories. Awesome, humbling thought. Teachers have a huge IMPACT on people. You learn from your FAILURES Not successes. Watch video clips, text chat during videos. What STRENGTHS are demonstrated by each character? We will watch each video separately (I will mute all mics) and then come back together in the hangout to discuss the MIs that jump out at you in how the characters behave and interact. Remember, we are now using Webb's Depths of Knowledge instead of Bloom's Taxonomy. 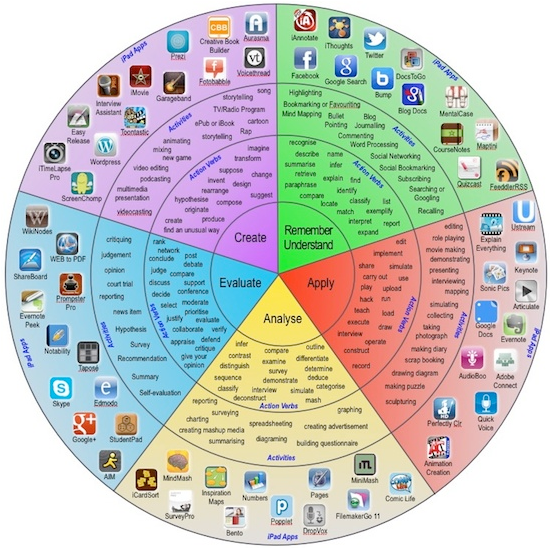 However, this is still a handy tool, especially because it provides examples of mobile apps that can be used at different levels of cognition.